In the gloom of an Albany afternoon in January, it may be interesting to know that at least a few legislators this year would like to do something about daylight saving time or DST. More precisely, they would like to get rid of the pointless ritual of adjusting our clocks by one hour twice a year. 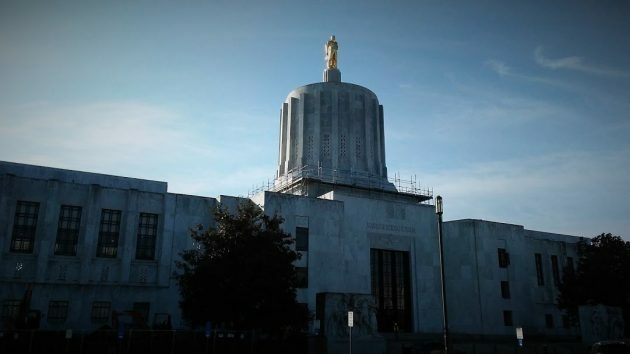 Two Keizer Republicans, Sen. Kim Thatcher and Rep. Bill Post, together with Democratic Rep. John Lively of Springfield and Republican Rep. Mike Nearman of Independence, have sponsored Senate Bill 320. Post and Lively filed the same text in the House as HB 2297. The bills would keep Oregon on daylight saving time all year if the voters support this in the 2020 general election. If the voters do agree, the act would take effect on Nov. 7, 2021. That’s the date we would not switch back to standard time. But as we’ve learned from reports on a similar proposal the voters of California approved last November, Congress would have to agree to this departure from standard time in order for it to take effect. No congressional approval would be needed for a different approach, introduced in the Senate by Brian Boquist, the Republican senator from Dallas. His bill, filed at the request of his wife, Peggy, would simply abolish daylight saving time in Oregon. It would keep Oregon on standard time starting this coming Nov. 3 and every November from then on. The Senate bills were referred to the Committee on Business and General Government chaired by Sen. Chuck Riley, D-Hillsboro. The committee’s vice chair is Fred Girod, R-Stayton. You might want to write or email them and ask them to advance at least one of these bills. HB 2297 went to the House Rules Committee, chaired by Rep. Paul Holvey, D-Eugene. You might want to contact Holvey as well. We would love to get rid of this disruptive yearly practice. Arizona has done so and it works fine for them. Thanks, I will write the letters. Love this idea. I would write letters too. The nation is in freefall because Trump is an incompetent criminal and you’re concern is daylight savings time? Should we be insanely obsessed like you and just forget about everything else until you get your way? All anyone can hope for is that each of us makes the effort to look forward rather than rearward. and you are the local buffoon although not a criminal. Hasso: you allow jj’s ignorant charges: but don’t allow my opinions of his rants. Come on! If the pols in DC have the final say don’t hold your breath. Sorry, but holding-up Arizona as a model for almost any action just doesn’t stand scrutiny. Arizona is the most red-necked, bible-thumping, backwards-gazing state in our Blessed Union, outside of the Deep South. Arizonans take pride in their Luddite heritage. Listed below is just a short sample of recent Arizona legislation that clearly demonstrates why Oregon would be utterly foolish to adopt any legal definitions based on what Arizona does. 1. Arizona’s House Bill 2002, which would prohibit teachers from taking a stand on “any side of a controversial issue,” would affect science education. 2.Arizona SB-1070. The law barred state or local officials or agencies from restricting enforcement of federal immigration laws and imposed penalties on those sheltering, hiring and transporting unregistered aliens. 3. SB1318, among other things, requires a doctor to tell a woman receiving a medication-induced abortion that the procedure could potentially be reversed. 4. SB 1241 prohibits cities, towns and counties from charging for or banning the use of “auxiliary containers” such as plastic grocery bags. 5. SB 1271 allows the Joint Border Security Advisory Committee to use $264,400 it collected in private donations to build a physical or virtual border fence as close as practicable to the Arizona-Mexico border. 6. Senate Bill 1267 allows schools to have fundraisers “that include the sale of foods of minimal nutritional value. 7. For a period, Arizona was actually considering sending Joe Arpaio to Washington DC. Based on the Troglodytes who run Arizona, Oregonians should consider themselves most fortunate. Imagine having to listen to Joe Arpaio everyday. If you want to drop DST, that’s fine. But please….do NOT hold Arizona up as an example of anything besides regressive, reactionary and ridiculous. Obviously you are not a great thinker but a dispenser of idiot information. Have you ever been to Arizona? Should try a visit to see what a great state it is and then apologize for your ridiculous comments. No politician in AZ is as pathetic as Kate Brown. Like Donald Trump, I never apologize. Hear, hear, J. Jacobson. I agree with you. I’m suprised Hasso printed what you had to say. You sure didn’t stay away long? Arizona gave us John McCain, Jeff Flake, and Kyrsten Sinema. New York gave us Trump. Some interesting, to say the least, digressions on the topic Hasso introduced. Allow me to circle back: Whether DST or standard time, staying on either one of them year-round would make way more sense than what we do now, irrespective of who’s in the White House or what legislation is proposed in Arizona or anywhere else. AZ HB 2002: A educators job is to educate our children…NOT brainwash them. 3. It has been established that some teacher training institutions, teacher licensing agencies, state education departments and professional teacher organizations have condoned and even encouraged this behavior under the guise of “teaching for social justice” and other sectarian doctrines. Time spent on political or ideological indoctrination takes time away from instruction in the academic subjects taught by public educational institutions, including the foundational subjects of mathematics, science, English, history and civics, and prevents students from receiving the best possible public education as funded by the taxpayers of this state. AZ SB-1070: Really, you’re against a law that UPHOLDS the law? Oh…that’s right, Oregon is a ‘sanctuary state’. My suggestion is that you go live in Arizona for a few years…you’ll soon change your mind. AZ SB-1318: First of all, Arizona isn’t the only state to have stupid bills…like Oregon’s ‘sanctuary’ law. Second Bills often contain multiple items (see SM 1241) so there is more going on then you implied. Third, it is certainly understandable how folks could believe, given all our medical advances, that a medication-induced abortion could be reversed within a strict time frame. Fortunately, this portion of the Bill was later struck down. AZ SB 1241: Again…the WHOLE truth might be nice. There were two parts to this Bill…the first prohibits owner, operator or tenant of a business, commercial building or multifamily housing property to measure and report energy usage and consumption…in other words, making their utility bills public. The second has to do with ” imposing a tax, fee, assessment charge or return deposit” (NOTHING about banning plastic bags)’auxiliary containers’ which was defined as: “reusable bags, disposable bags, boxes, beverage cans, bottles, cups and containers that are made out of cloth, plastic, extruded polystyrene, glass, aluminum, cardboard or other similar materials and that are used for transporting merchandise or food to or from a business or multifamily housing property.” Common sense says that a ‘bottle bill’ for one or two cities isn’t going to work. On the whole, the reason why most people recycle is because 1) it’s free and 2) it reduces the cost of their regular ‘garbage’ service. If you start charging people for recycling, they aren’t going to take the time to separate their recycling. And if you try fining people for NOT recycling…how are you going to enforce it? You would have to hire someone(s) who sole purpose would to be examine everyone’s garbage to make sure that they weren’t in violation of the law. And then you would have to hire someone(s) to write up the fines. And then you would have to hire someone(s) to collect the fines. And then you would have to fire an entire legal team to defend the fines. And you’re going to lose because you’re not going to be able to prove it because you won’t find my name or address in my garbage…I have a cross-cut shredder. AZ SB 1271: Wow…a law that allows funds collected to be used for its intended use instead of being appropriated for something else! AZ SB 1267: Actually, I find it pretty sad that we have to pass laws allowing kids to engage in the time-honored tradition of selling cupcakes and cookies instead of tufu. I love Uncle Joe. He is a no-nonsense man.